Mishima Jinja in Shitaya is a Shinto shrine located in Shitaya area in Tokyo. 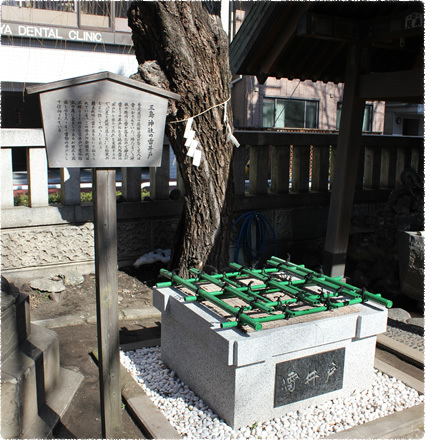 In this shrine, there is Legend of the Thunder Well that is believed to have once captured a fallen thunder. Derived from this Thunder Well, Mishima Jinja is a famous shrine for the “never fall or fail (in fortune and sales etc.) divine grace”. A kami(god) of mountains throughout Japan. He is also famous as a kamiof military arts who governs victory. A daughter of Ōyamazumi-no-mikoto and an older sister of Konohana-no-sakuyahime-no-mikoto. 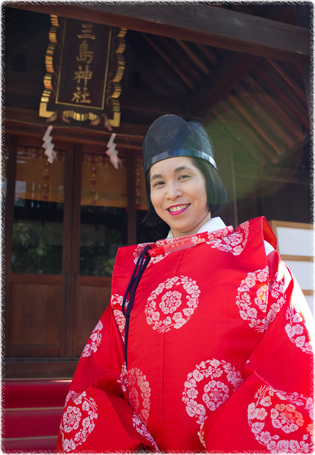 She is famous as a kami of immortality and longevity. A daughter of Ōyamazumi-no-mikoto and a younger sister of Iwanagahime-no-mikoto. She is famous as a kami of safe delivery and family happiness. 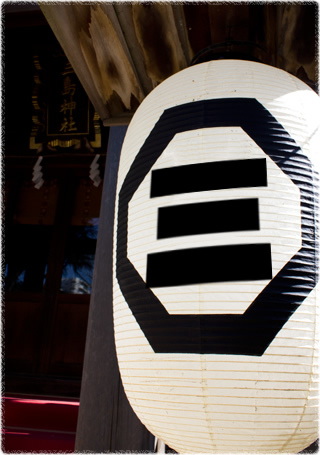 During the Kamakura period, there was a clan named Kōno Michiari, known for his valor, in Iyo (present Ehime). One day Michiari received a kami’s message in his dream and started worshipping Ōyamazumi-no-mikoto, a patron kami of Kōno family, at his home in Musashi country (present Tokyo). This is the origin of the present Mishima Shrine. 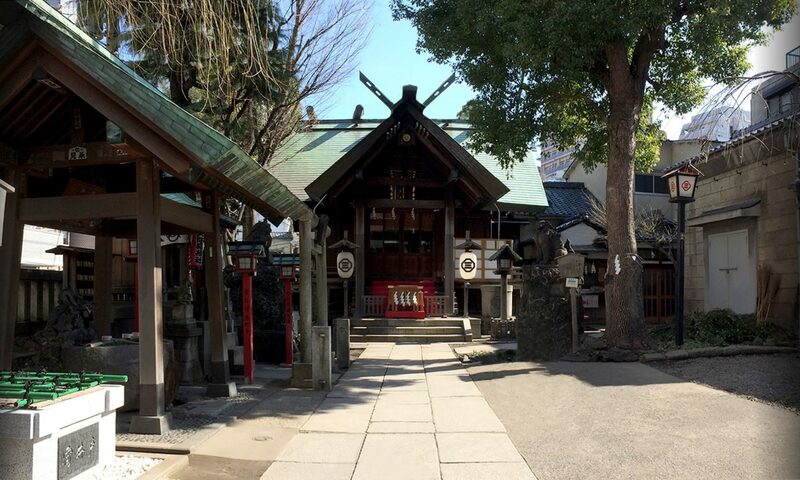 Although the shogunate ordered several times to relocate the shrine, the villagers wished to keep the shrine here. Therefore the shrine has been worshipped as the Mishima Jinja in the Shitaya in this place until today. Once upon a time, there were lots of thunders in this area, and villagers here were in trouble. One day, a thunder fell in Mishima Shrine grounds, so a Shinto priest took advantage of this situation and captured the thunder in a shrine’s well. The thunder asked “Let me out of the well”, so the priest convinced “I will let you out if you promise not to fall in this area again” and let him go. From that time, it is said that thunder has never fallen in this area. Derived from our legendary Thunder Well of Ochinai,(never fall or fail), we offer special prayers for those who wish their “fortune not to fall” “sales not to fall” or “not to fail examination” etc. Please consul our shrine staff. 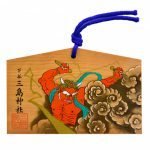 It is an amulet derives from Legend of the Thunder Well of Mishima Shrine. The amulet has a divine virtue that makes “every wish to not fall or fail” in examination, sales, popularity, fortune, economic fortune, etc. come true. 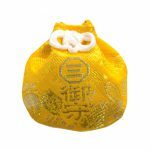 It is an amulet in a shape of drawstring purse that wishes to raise your money luck. 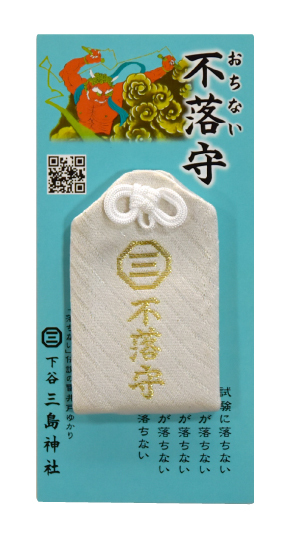 The shrine emblem of Mishima Shrine is embroidered with gold thread in yellow body. 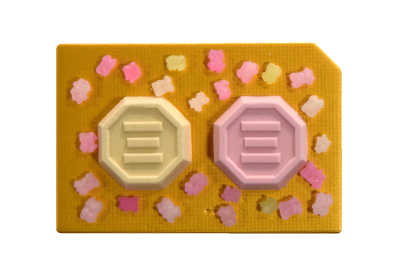 It is a votive tablet derived from the thunder-well-legend of Mishima Shrine. 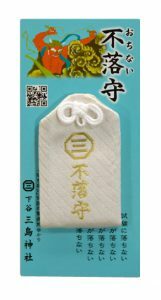 It is also popular as “a votive tablet for disaster prevention” which protects you from various disasters. Please write your own wishes. 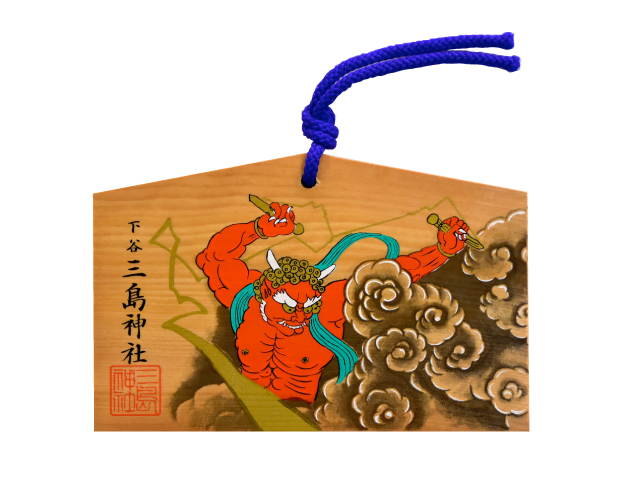 It is a wooden tablet derived from Legend of the Thunder Well of Mishima Shrine.  The emblem has a divine virtue that makes “every wish to not fall or fail” in examination, sales, popularity, fortune, economic fortune, etc. come true.